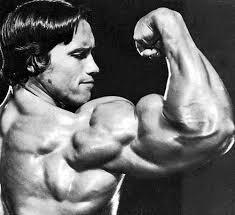 4 things Arnie and his bodybuilding buddies can teach you about business. What can Arnold Schwarzenegger and his body building buddies teach you about running a business, team or your life for that matter? Here are 4 key lessons to take from the gym floor into the boardroom. #1. Real strength comes from the core. Bulging biceps or rippling chest muscles maybe the choice of novice bodybuilders but most seasoned lifters will tell you that real strength comes from the core. The same applies to a successful business. It is all very well having a nice office, in a great location and the very latest tech but unless you have a strong core real success will elude you. In their bestselling book “Built To Last”, James Collins and Jerry Porras compared visionary companies to other companies in the same industry (for example Amex vs. Well Fargo or Sony Vs Kenwood). 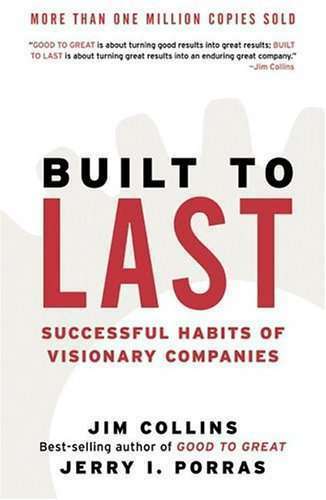 They discovered that visionary companies outperformed their counter parts consistently over the long term and that they also shared a number of key traits, one of them being having a Core Purpose and a set of Core Values. A Core Purpose is a solid reasons “why” statement or a mission statement which articulates why you exist beyond making a profit. 3M has “To solve unsolved problems innovatively” whilst Disney simply have “To make people happy”. Core values are the organisations essential and enduring tenets – guiding principles which define what the company stands for and become the compass for how the company does things. Together they create a Core Ideology which sits at the centre of the organisation and from which everything else grows. Whilst many companies have vision statements and brand values, for the most part they are either displayed in Reception, referred to in the company brochure or are living in the induction manual which is now collecting dust at the bottom of most employees desk draws. In the same way in which everyone has a six pack which is only revealed after working off the excess fat. You have to work that making that core ideology part of your daily routine. How often in your daily activity do you refer to your mission statement? Do you hold your people to account for behaving in line with your core values? If you asked your employees why the company was in business, could they tell you? When you have a work force, systems and policies all built around this core, you have a strong foundation for success. #2. It’s all or nothing. Your muscles are made of many motor units, and each motor unit is controlled by a neuron. When a neuron fires, all of the muscle fibres within that motor unit contract together to provide full force. This is known as the “all or nothing” principle because the motor unit is either on or off – there is no in-between. Go ahead and try to part flex your bicep – you can’t. It’s either all or nothing – contracted or relaxed. Big business is the same. It’s made up lots of little units controlled by a neuron called the leader. Great leaders know that in order to get the results they want it is not just a case of getting a team to work together, it’s about getting them to fire together. You have to get your teams set up in a manner that means they fully understand they are part of a complete system and not just a box on a organisational structure chart. How many times have you gotten frustrated being passed from one team to another when trying to get a problem solved? Or maybe like me, you called up to redeem an offer sent to you by the marketing team but the service team has no idea what you are talking about. How annoying is that? Spend time getting your teams to work collaboratively, encourage them to hang out together not just formerly but also in more natural setting. Encourage discussions about how they impact each other in a positive sense and how they can improve ay negative aspects. The more people understand – at all levels – that they must fire together, the greater the level of sustained success achieved. #3. Plateau – the silent killer. When you embark on a fitness journey, it’s a great feeling when you can see your blood, sweat and tears finally pay off with results. After spending hours in weights room pushing out rep after rep often to the point where you think you are going to puke or pounding that treadmill for countless hours there is a real sense of pride, relief and achievement when you finally get the results you wanted. Body builders know that there comes a point in their regime where the results stop coming and they plateau. In order to progress they have to make changes to their training plan and challenge the body in new ways in order to shock it back into action. 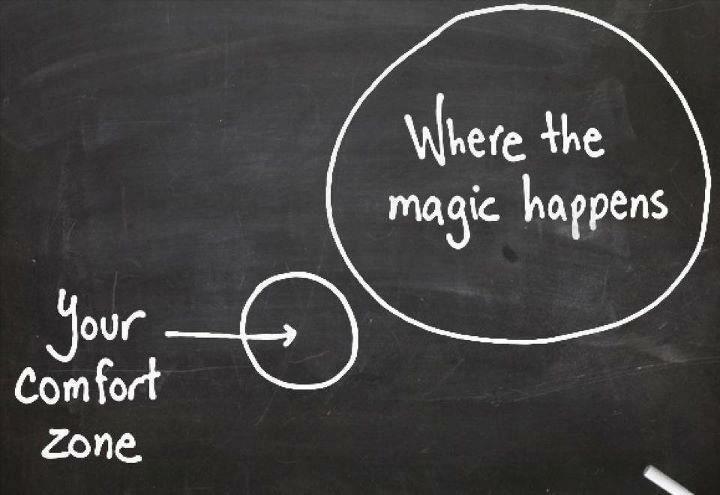 Often that means stepping out of their comfort zone. Business is no different. When times are good and the results are rolling in we get comfortable. We get accustomed to working a certain way, habits set in and everything seems nice and stable. What seems like the safe water is really making you sitting duck. I’ve said it before in previous blogs that you have to be prepared to change – actually I mean transform. You have to be prepared to rip up the tried and tested and make changes regularly to keep you moving forward and ahead of the game. You must recognise when things have become comfortable and look for ways to stretch outside of that. #4. It’s 80% diet and 20% gym. It’s a maxim that I totally believe in. Yes working out is important but it’s your diet or what you nourish your body with that will make the biggest difference. If you bench press 200lb but had a diet of Big Mac and supersize fries, sooner or later you are heading for the hospital. You and the people in your organisation are no different. You can give someone all the customer service skills in the world but if they have a bad attitude it won’t really make a jot of a difference. You have to nourish the right attitude, the mindset and who your are ‘being’ while you ‘do’ what you do. I’m a great believer of “you become what you focus on”. I’ve spent thousands of pounds going to seminars, reading books, taking courses and making changes to my mindset. In terms of the things I ‘do’ I haven’t changed a great deal but I have transformed the way in which I go about things. I’ve developed a mental conditioning behind my actions which has yielded such great results for me. As well as investing in skills training encourage your people to nourish their minds with better stuff. Introduce them to books, listen to great speakers and develop their own mind gym. The better the quality of stuff that goes into their minds the better the quality of actions and in turn the finer the set of results you will achieve. For more tips, ideas and vinsights – check out other entries on this blog. The biggest reason that people and companies do not change is due to fear. 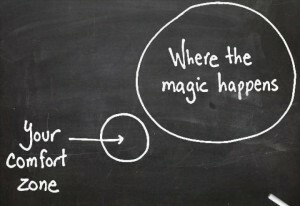 You have to embrace fear to use it a leverage for making change in your life, business or career. Long game vs short game.